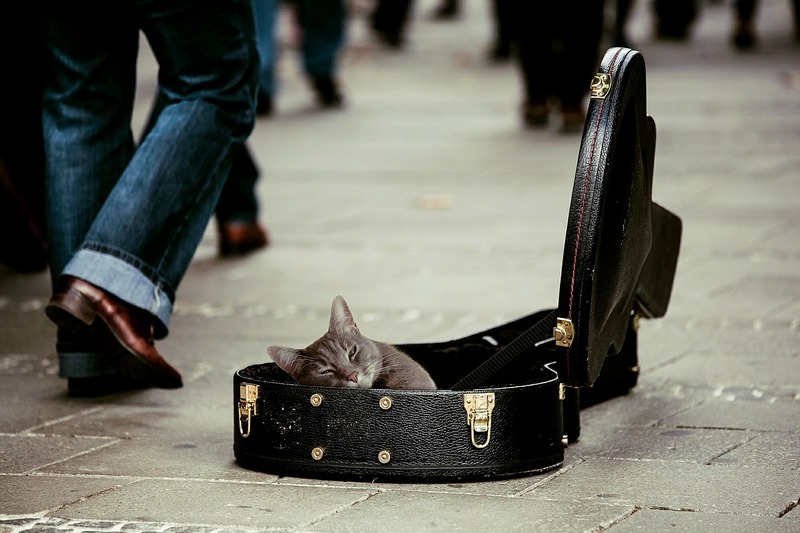 Home › benefits › What’s Good Music For Pets? What’s Good Music For Pets? Many pet owners claim that their dogs or cats actually like the same music they do. May it be heavy metal or a classical piece from Mozart, we tend to reflect our own liking onto our beloved furry friends. Yet, do cats and dogs even understand music the way we do? Or do they like some other kind of “music” altogether? What could make a music track interesting for your pets, or even help them in some sort? In this article, we try to give you some answers to these pressing questions. What Music Do Animals Like? What exactly is it that marks music for pets? To venture into this, a slight understanding in the difference of hearing between humans and animals is necessary. Dogs, cats, and other species perceive sounds in a different spectrum than humans. This suggests that to most of them, human music is rather unrecognizable. Animals have another vocal range than humans, and even our heart rates differ from those of our fury companions. Thus, they mostly do not grasp the music that is mainly tailored for our ears. This means that something that is pleasant in our ears is only met with mild disinterest by our dogs or cats. However, sounds and music composed a few octaves higher and resembling a faster heart rate sounds appealing to them – and highly unpleasant for us. This was shown by Snowdon, an animal psychologist at the University of Wisconsin-Madison, who composed two songs for tamarin monkeys. Is there a Difference between Dogs and Cats? It appears as if there is, yes. Snowdon experimented with sounds that resemble the resting heart beat of a cat (which is faster than the human’s) and belonged into the frequency of their own vocalization. This work in progress study shows that cats are way more likely to react to such music tailored for them than to human music. Dogs differ from cats in this respect – and from one another. The big variety in breed and size comes with a variety in heart rate and vocal range as well, making it difficult to create music that suits smaller breeds like Pugs and Terriers, as well as the bigger breeds of Labradors and Mastiffs. The latter ones, as shown in studies conducted by Deborah Wells, a psychologist at Queen’s University Belfast, are even able to respond to and distinguish different genres of human music. However, as much as animals may or may not respond to our or their “own” tailored music, they will unfortunately never quite appreciate it as much as we do. Yet, there are still many benefits your pet can gain from listening to music. Finding the right music for your house cat or dog is like a little journey. On iTunes or Amazon, you can find music that claims it is – supposedly – good for your little friends, relaxing or agitating them, depending on the “song”. Until you found the “beat” your pet prefers, it may take a while. Experimenting on your own – and with your pet present, of course – is half the fun though. Just try to find sounds and pitches that appeal to our furry friend and mix them together. What do Pets gain from listening to Music? As a matter of fact, if the pet owner is relaxed and radiates this calm off to the animal, human and pet can gain from the relaxing sounds alike. If you mix in some animal sounds into the calming music, you will also find your pet showing more interest since it’s exposed to something that is very familiar. Furthermore, younger animals can be trained to not be afraid of certain sounds that are or will be normal in their every day environment.The usual loud sounds produced while cooking or being with a big crowd of people will appear less threatening and unnerving for your dog, horse, or other animal when they experienced that these sounds do not pose an actual threat. Training a dog to show and have less fear when exposed to fireworks can also be achieved. Soothing & Calming Sounds For Pets Cats Are Good For Your Health Animal Sounds To Make You Feel Less Alone What Made Humans Invent Music?